I didn't make very many handmade Christmas gifts this year since I am working diligently on the Christmas Beast king-sized quilt for my parents that I hope to present just after the holiday break (I need to work on it a little over the break). I'm on the borders though so it is VERY exciting to be getting to the end. 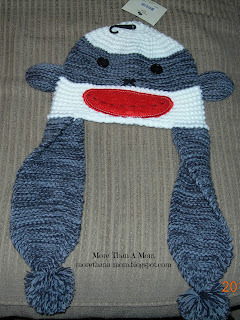 I did, however, make a cute sock monkey hat. 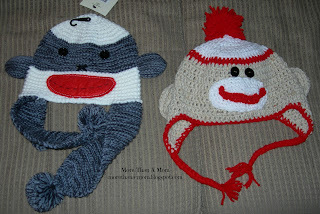 Now, before I show you mine, I want to show you the original one I purchased at the store. I wasn't quite convinced that it was absolutely adorable. 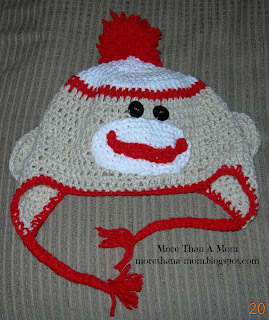 I also thought that I could make one just as cute or cuter for way less money. This is what I came up with thanks to Repeat Crafter Me's free Sock Monkey pattern. Here they are together for the last time. 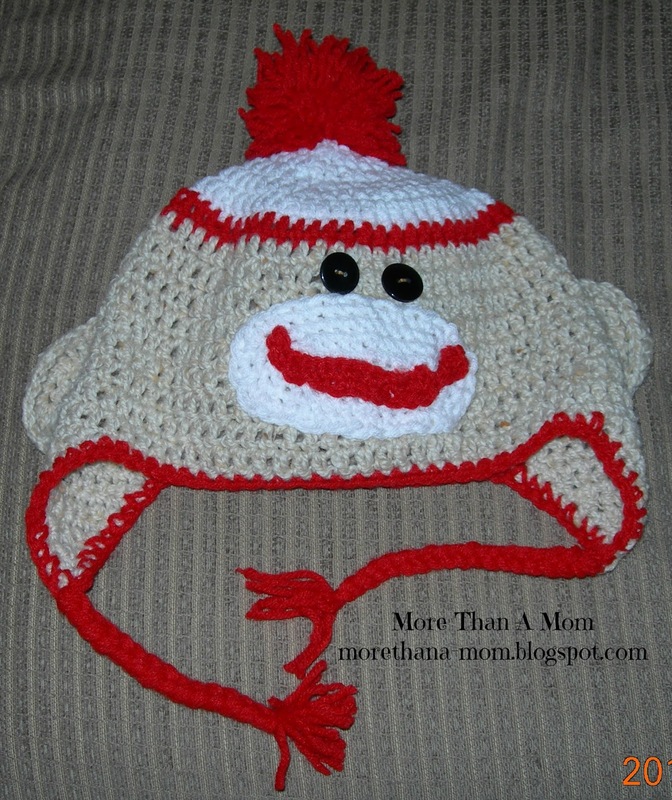 Have you made something that you preferred over a store bought item? What was it?